In acknowledgment of the book’s exceptional contributions to our understanding of Adolf Meyer and the field he singularly shaped, Cheiron awards the 2016 Book Prize to Susan D. Lamb (U. Ottawa) for Pathologist of the Mind: Adolf Meyer and the Origins of American Psychiatry, published by Johns Hopkins University Press in 2014. 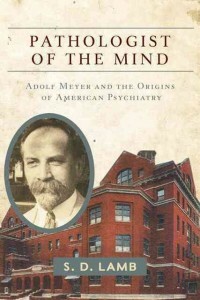 After becoming the first psychiatrist-in-chief at Johns Hopkins Hospital in 1908, Meyer devoted himself over the next five decades to the scientific acceptance of psychiatry as a methodologically sound specialty of medicine. Although historians of psychiatry have recognized Meyer as a founding father, many of his ideas were not well understood, and his highly influential impact on psychiatry has been partially shrouded in mystery. Having gained access to previously sealed patient records as well as Meyer’s personal correspondence, and having offered such a careful and thoughtful analysis of these precious archival materials, Lamb provides historians of the behavioral and social sciences with a coveted window into Meyer’s thinking and decision making. Pathologist of the Mind clarifies Meyerian notions of psychobiology, psychotherapy, and evolutionary theory (among others) and places this important figure, as well as the hospital and area of specialty to which he was dedicated, into historical context. In impressively detailed fashion, the book brings the man and the era to life. Our congratulations to Dr. Lamb! Find out more about her work here. And find the winning volume here. Anna Dysert, Assistant Head Librarian at MCGill University’s Osler Library of the History of Medicine in Montreal made an announcement on HNet for two research travel grants to be allocated during May 2016-April 2017. The Mary Louise Nickerson Fellowship in Neuro History carries a value of up to $10, 000 Canadian, and the Dimitrije Pivnicki Award in Neuro History and History of Psychiatry up to $4,000. Submissions are welcomed from a variety of individuals, including graduate students, scholars, and professionals. The deadline for both is March 1st. Follow the links above for more detailed information. 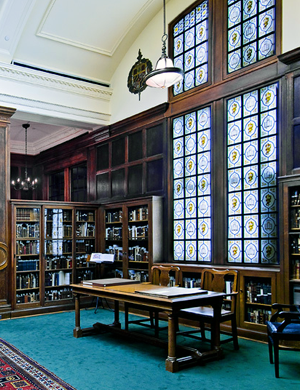 Find their Archives website here. Longtime Stanford psychologist Albert Bandura has won the prestigious National Medal of Science in the US. Bandura is best known for his studies of the effects television violence on children, published in the 1960s, in which children were shown a film of an adult beating up a “Bobo Doll,” and the were placed in a room with the same to doll to see what they would do. Many of the children re-enacted the violent behaviour that had been modelled by the adult on the film. The phenomenon was elaborated by Bandura into Social Learning Theory. Bandura is a Canadian, born in Alberta. He attended the University of British Columbia for his BA, before moving to the University of Iowa for graduate study. He has been a professor at Stanford since 1953. 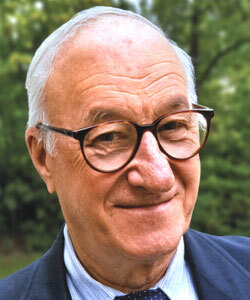 The APS announcement of Bandura’s award can be found here. Cheiron, the International Society for the History of the Behavioral and Social Sciences, is currently calling for submissions for the 2016 Cheiron Book Prize. The deadline for submissions has been extended by two weeks; books must now be received by October 15, 2015. The prize will be awarded at 2016 Annual Meeting of Cheiron in Barcelona, Spain. Full details follow below. Eligible works for the 2016 Cheiron Book Prize include original book-length historical studies, written in English and published in 2013, 2014, or 2015. Topical areas can include, but are not limited to, histories of psychology, psychiatry, anthropology, sociology, and social statistics. Works that are primarily history of medicine or history of education are not suitable entries, unless they are strongly tied to the history of the social/behavioral/human sciences. Edited collections or anthologies are not eligible, nor are conventional textbooks. Submissions will be judged on the basis of their scholarly character, depth of research, and the importance of their contribution to the field. Submissions can be made by publishers or authors. Deadline: Two copies of each entry must be received by the committee chair (address below) by October 15, 2015. Books that are released later in 2015 can be eligible for the next competition; only printed books are eligible. The author of the winning book will receive $500 plus up to $300 in travel expenses to attend the 2016 Annual Meeting of Cheiron in Barcelona, Spain, where the prize will be awarded. Remote-electronic presentation may be arranged, if possible, for a winner who cannot make the meeting. Announcement of the award will be widely circulated to relevant journals and organizations.